Frankee has stood as one of the most hotly tipped producers on Ram's roster, catapulting himself onto the scene with aggressive and divisive dancefloor slayers. However, having two decades within the game already notched on his musical bed post, the producer has cemented himself within the genre's trophy cabinet. And he's returning after a brief hiatus with two brand new pieces of sonic artwork to take you into Summer's final months; a farewell to the festival stages his anthems have been played from. Receiving support from Ram's head honcho Andy C, who's pedestalled his sound since it was first discovered by the revered veteran, and radio tastemakers alike, Frankee has a firm history behind him with previous releases. 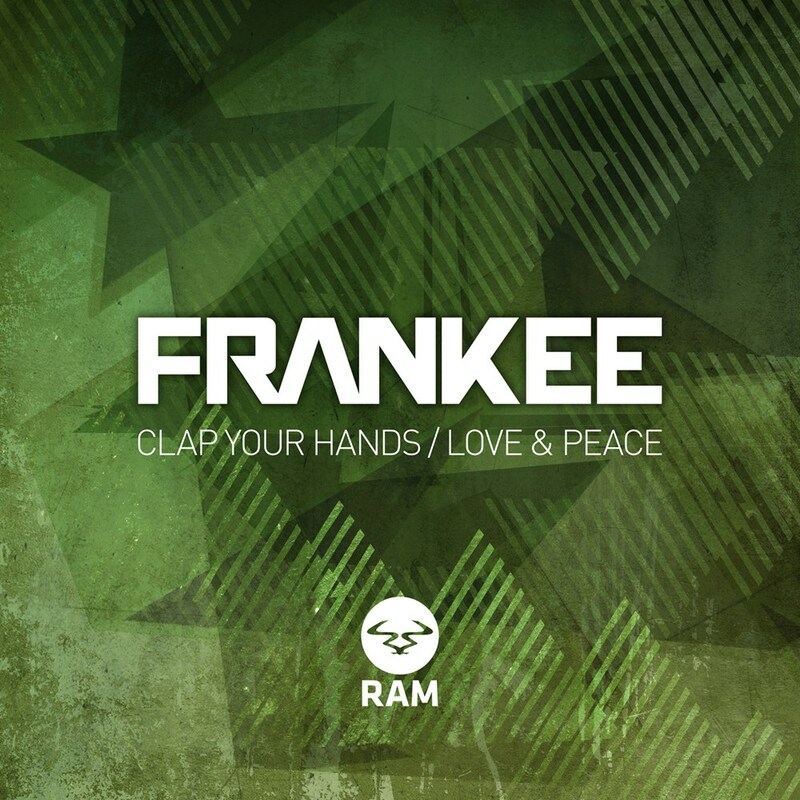 His next single 'Clap Your Hands' and 'Love & Peace' present two immensely different tracks which epitomize why Frankee's music has garnered such a backing, whilst exposing the polar opposites of his sound. Whether you were looking for the pounding, bassline driven layers of 'Drop it Low' or the more ethereal, heart-felt vibe of his Loadstar 'Away' remix, this single channels both sides of the coin. Your first introduction to Frankee's return is via 'Clap Your Hands', once again platforming the sub-driven records he's famed for. Building up into a cascading drop whilst grinding LFO provides the steps, it's difficult not to be pulled in by its relentless beats and quick-fire drum patterns. With metallic vocal samples adding encouragement between each segment, Frankee is back and carrying the weaponry which made him so dangerous behind the decks. On the reverse, 'Love and Peace' adds another dimension, not only proving Frankee's production capabilities, but also a contrast in musical attitudes. Natural yet still synthetic, it brings together shaking percussion and female vocals in a way that curtails both the light and dark shades of his skillset. A blissful liquid roller that carries itself from start to finish, it features nostalgic breaks whilst keeping a mechanical continuity. This next output proves Frankee is back... And just like before, he's demonstrating why he's become a quintessential part in people's libraries.